What causes condensation in double glazing? 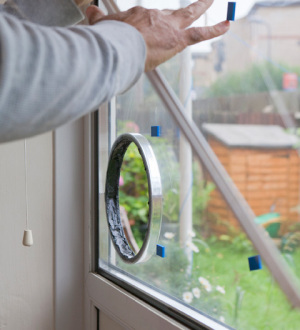 Most commonly ‘misty’, ‘cloudy’, or ‘blown’ double glazing as its know in the industry is usually a sign that your double glazing has broken down. Why does double glazing break down? 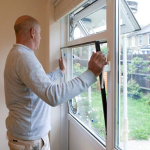 Various reasons contribute as to why your double glazing breaks down and causes a build up of condensation with the most common reason being time. There is a small grainy like substance (known as desiccant) that is used within your double glazed units spacer bar to absorb any water vapour that manages to get past your units edge sealant, and overtime this becomes saturated. As a result of the desiccant not being able to absorb any more water vapour, a build up of condensation between the two panes occur as the moisture has nowhere to escape. Other reasons could be down to poor fitting, broken or faulty seals and poor maintenance. *Cleaning your windows with harsh chemical be harmful to your double glazing. Aaran Glass are able to replace your misted double glazed units (just the glass part) without having to replace any framework. We are able to fit new glass units into your existing frame work which includes; plastic, wooden and aluminium. All at a small fraction of what it would cost to replace the whole window. Double glazed sealed units are guaranteed for 5 years against misting up at Aaran Glass, however the lifespan of most double glazed units is between 10 and 15 years. 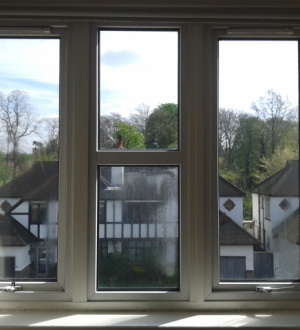 We are also able to provide double glazing replacements to glazing that has been damaged or vandalized or simply to upgrade any existing windows you have that need a new lease of life. Double glazed units can be replaced like for like or we can upgrade your current glass to help make more energy efficient. 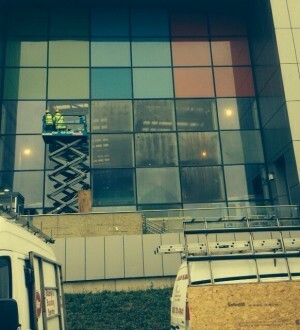 Aaran Glass have over 35 years in the glass and glazing industry and deal with the supply and fit of new double glazed units on a daily basis. Areas covered include London, Greater London, Essex, Hertfordshire and surrounding areas. If you have an approximate size of the units in need of replacing we are able to give you an idea of price straight away over the phone. Alternatively we can make an appointment to suit you. Discounts are available depending on the quantity of units required, however no job is too big or small! 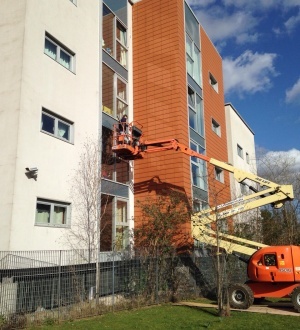 For a free no obligation quote, or call us on 0800 7408163.